Let’s do some homework. Pick out the five-star rated mobile apps from the app store, and judge what’s common in all of them that have made them top the charts. Certainly, the answer would vary. Some users will say great features, unique storyline, intuitive UI or seamless navigation. Its true different apps have distinct specialties which different users like the most and that makes the users rave after the apps. But, there is one thing which we fail to notice that all these interesting aspects of the apps at the end delight the users and improve the user experience. 95% of the users agree with the fact that good user experience just makes sense. How can the winning UX for the mobile app be crafted? Well, there is no secret recipe to engineer the unmatched UX in the app. The brilliant UX contingent on several factors in total, which must be fulfilled in an optimum way, else the app misses the boat that’s heading towards a successful journey. It indicates it’s high time to prioritize the UX strategy to deliver an engaging experience and maximize the value of an app. 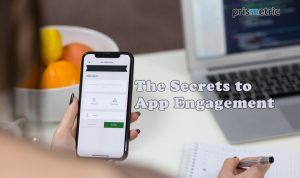 Let’s recreate the app’s success by following the best practices and employing the best UX design strategies to reduce the friction from the user journey and achieve UX stardom. A color is a powerful tool that designers have in their toolkit that can catch the user’s attention, puts them off, evoke their emotions or drive them away. Different types of colors are used as functional elements that differentiate the activities and can make the users initiate an action with deep effect. Saturated colors like gray color proved to be dynamic, exciting and attention-grabbing. This is the reason they are used for messaging systems, alerts or links. On the other hand, the vibrant colors are now have become a trend and create a positive impact on the users with increased conversion rate. That’s why they can be seen used for CTA button or differentiates the various types of the notifications. Going forward, in many Anglo-Saxon countries, the apps can be seen filled with national colors to establish a link between the nation and mobile applications. Breaking this convention, the leading brands Nike or Apple can be found using the different colors and those colors are now which users associate with the brand. Conclusively, use the color scheme that emotionally connects your app with users and uplift conversions. The app’s UI is a visual treat for the users that play an important role in catching the eyeballs and holding the attention of the existing users. Just like the diverse range of app users, the mobile app also runs on the plethora of devices and platforms where the UI elements need to accommodate every screen size to offer seamless UX. However, with the changing trends, the platforms like- Android and Apple keep changing the UI design guidelines with the introduction of new features or modification of the existing ones. Embracing the new updates is a boon for the developers that helps them in building the app that steps in with the market and gets an edge in the competition. Adapting the shift in the mobile landscape creates a profound impact on the users and improves the retention rate. Many times, the attempt of ornamentation, strip in the visual signifiers which make the content comprehension difficult and don’t let your app to communicate the core message. The users never expect a heavy text app or heavy design app. These are deterrents that confuse the users. For delivering the content-centered experience, the relevant content must be kept in the center and front with no visual clutter. Keep the practice of having a clear visual hierarchy where the UI elements are placed in an order with strong visual cues and representing the necessary content that helps the users master the interface and navigate around the app in no time. The minimal design approach introduces the app to the users with frictionless experience which stays in their memory in the long run. Easy onboarding or seamless checkout is the best instances of minimal design in the modern age. Rewind your tape and think about the moment you were taking your first flight. You were filled with excitement and anxiety when the plane was about to take off, but the step-by-step instructions from tying seat belts to the use of a mask in emergency case relaxed you. The similar situation is with new users who have just downloaded your app. The onboarding journey lays a foundation for the experience that users will have throughout the app. The onboarding must be simple with a few fields that allow the user to start their journey with the app painlessly. 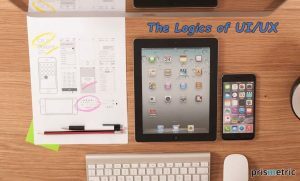 There are umpteen mobile app on-boarding strategies like- allow the users to Sign Up using social channels, keeping tutorial at the beginning that makes the app browsing easier, adding progressive indicators which let the user know at which stage they are, or adding the animation that makes entering the information in fields a great fun. Use the on-boarding strategy that goes well with the app type and maximizes the UX quotient. We all have experienced the tailored content display on the desktops which cookies saved during browsing or using the user’s location data. But, this level of customization cannot go for mobile apps because the technology and the use are altogether different in the mobile apps and always accommodating the content for different screen sizes is implausible. This is where the era of advanced personalization ushered. The app content starts dealing with the individual approach by gathering and analyzing the users’ demographics, preferences, interest and purchase history leveraging cutting-edge technologies such as big data analytics, cloud computing or artificial intelligence. When the personalized recommendations or personalized offers are sent to the right users at the right time, the UX will get improved and in-turn, the conversion rate, up-selling, cross-selling, retention rate, and revenue begin increasing. This concept was used by the apps like- Starbucks to send the location-based offers to the users, and interactive and personalized games to loyal users that has tripled the marketing campaign results and generated a threefold increase in the user’s spending on the offers’ redemption. It has helped the brand to stimulate digital interactions and develop a one-to-one relationship with the customers at scale. 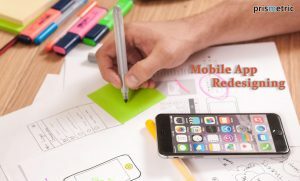 Things quickly move in the mobile app landscape, where it becomes necessary to monitor and measure the user experience to precisely check and refine the app for UX optimization. Google analytics is one of the traditional ways that highlights which touch points are interfering with the user experience, but it fails to figure out and communicate why the users are dropping off at the particular touch point. Understanding the key metrics and gaining insights into user behaviour is crucial for enhancing UX. Here, the UX analytics tools such as in-app tics, or app see can be used that record every user session, provide touch Heat maps, crash time reports and real-time analytics which help in comprehending the in-app experience of the users. The final assessment is the cream of the crop which lets you see virtually how the digital initiatives are performing and whether it needs to revamp to deliver the best UX. The strategies work in every app differently, no matter under what niche the app falls. The UX designers can create the designs that speak leveraging the time-tested UX design strategies and assure business conversion with augmented UX. But, they should remember every app is unique in itself and there is no thumb rule to design the UX in the app that pleases the users. Instead, the UX designers are the artists who can bypass the rules to craft the app that end-users love but should not break the conventions as the make-the-user-think approach is never liked by the users. The speed is a dire need for a mobile application that can beat the spectacle anytime. Ensure the graphic-rich designs or the content should not be so heavy which slow down the page loading times. The visuals are as important as the speed at which transactions are completed by the users. 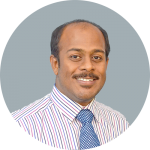 The presence of both critical elements differentiates the app in the matured market. Security and compliance needs are the major roadblocks that make app development complex. Well, the compliance can be planned on an annual basis, but the user’s data needs to be monitored regularly for preventing fraud attacks. The UX designers must engineer the layer of protection to avoid data access from the backend and keep tabs on the transaction completion process for ensuring the data should not be eavesdropped in between. Both the robust security and trust go hand in hand, which adds a trust quotient to the app and amplify UX. The modern apps have bid goodbye to the flash and glitter backgrounds. Now, the user expects a simple UI with minimal design and optimum content which helps them in understanding the app and getting to the position where they want in a couple of seconds. The developers should implement a Keep It Simple Stupid model in UX designing to sync the app with user anticipations. The UX design is still an important aspect, which creates a bridge between businesses and customers. But, most of the apps not ranking higher in the app store are because they fail to deliver the wow experience to the users. Well, the creation of the UX design strategy has the answer to this problem. Again, the developers mistakenly attempt to engineer the user experience in the apps the same way. However, unlocking the immersive user experience with the UX design strategy creation is not a one-size-fits-all kind a thing and singing the pipe of rules by no means works there. 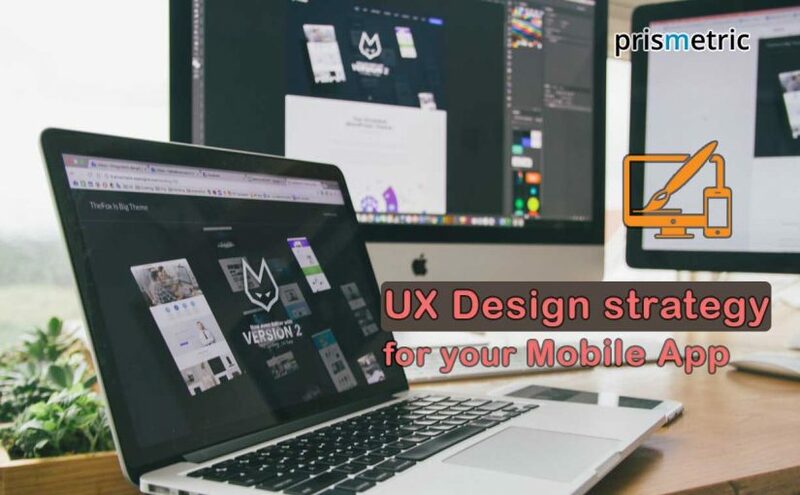 The UX designing needs the attention to several factors complemented with a few tips to make the app penetrate supremely in the niche market with improved app engagement, amplified user experience and increased ROI. If so, what are you holding fire for? Elicit the path-breaking UX using the best strategies and following the required tips.